Most people spend 2400 hours a year in their work environment, and if we multiply it by the length of the average work tenure, this makes above 100,000 hours for a lifetime. Thus, it's essential to create a work environment that is relevant to our personality style and unlocks our potential for high performance.People with a high D personality tend to be natural leaders, are goal-driven, and can frequently be overly direct. Their office should reflect leadership, organization, a busy lifestyle, tech savviness, accomplishments, and the need for multitasking. 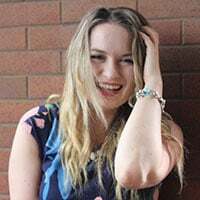 Or a secretary, or an intern; the best, of course, would be a team of dedicated people to carry out the numerous details of the tasks which the High D personalities always have on their agendas. Let's face it, D styles are focused on the big picture, leading others and the final goals, regardless if these are the annual sales volume or finishing a tricky project. They are natural leaders and will most likely have a position with authority or will be in charge of the results. All a D wants is a short report with bullet points and what's the next decision he/she needs to take. High D personalities tend to be extremely organized individuals, and that's why everything should have its own space. They're also known for their directness. In their office, everything should have and be in its right spot. There is no need for frivolous or personal items, and things used often should be at their fingertips. High D personalities are often the first one in the office and the last to leave; being a leader means putting in the extra time, effort, and never losing their edge. Most companies have break rooms, but this dominant personality has no time to make their coffee nor the patience to wait on the local barista. That's why their own Keurig station is highly recommended, besides the caffeine will give them the extra boost of energy they need for their exhausting work routine. A high D personality always has their phone in hand and their eye on the prize. They know almost everything about the newest iPhone hitting the market, and if they could, they would get it even before it hits the market. They also probably have a tablet, laptop, and any other device that will help them throughout the day. Hence, they need to have an abundance of chargers, extension cords, and even charging station for their office. Someone with a high D personality can have many accomplishments, awards, and certifications. They will want to showcase them for visitors and their employees to prove why they're in a top position. They also like their accomplishments to be recognized by others, so a wall to hang their achievements or designated trophy shelving is a must-have for any D style personality. High D personalities are always on the go. They like to get things done as quick as possible and unexpected travels happen often in their busy work-life. That's why it is a good idea to have a travel bag or a suitcase ready behind the door, so they don't lose time stopping at home. For the moments they're not on the road and to combine their activity levels with work, we recommend a treadmill desk. If that's not in the budget, they may have a balance ball for a chair. Either way, they're always on the move. If you liked this D-office picture, do not forget to subscribe to our newsletter in the form below. Soon we'll follow up with I, C, and S offices, plus you'll be the first to learn about all the exciting new promotions we have planned. According to Professor Marston’s DISC theory, people have four main personality traits: Dominance, Influence, Steadiness, and Compliance. 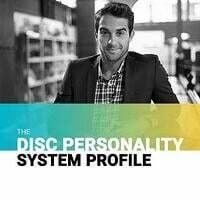 If you’re not sure which is your style, you can take the DISC Personality System Assessment by PeopleKeys, which in less than 7 minutes will give you profound insight into your behavior and will enable you to enhance communication, understand yourself better, and be more productive and motivated.